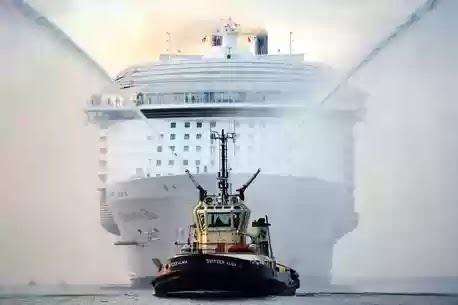 Horrific accident on World's biggest cruise ship Harmony of the seas dampens the popularity of the mamoth ship. One person has died and four others are injured after a lifeboat became detached from the world's biggest cruise liner. It actually wasn't in open sea when tragedy struck. The horror cruise ship accident happened during a security training exercise on board the Harmony of the Seas cruise liner as it was docked in the French port of Marseille. The two survivors are in critical condition. Emergency services revealed two of those injured are thought to be fighting for their lives. According to reports in France, the accident happened this morning when the lifeboat detached from the fifth deck and crashed while it had five people on board. No passenger casualties. All of those who were on board at the time are Royal Caribbean International staff and no passengers were injured. We'll be bringing you the very more updates as this tragic story unfolds.